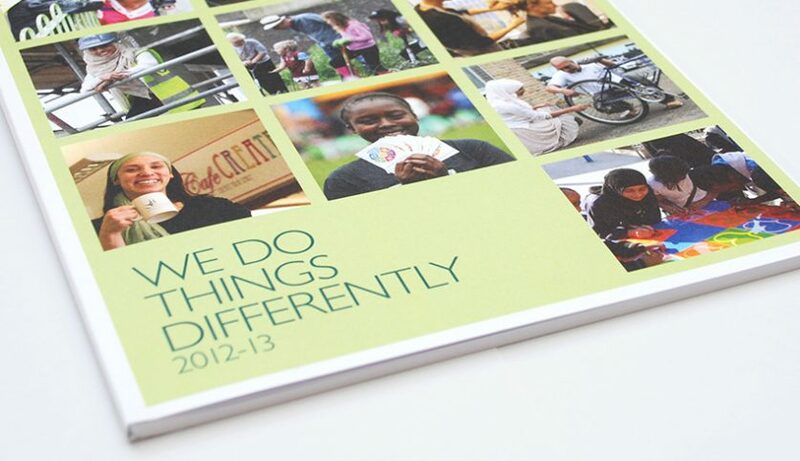 An annual report for Poplar HARCA titled ‘We Do Things Differently’ has recently been designed. 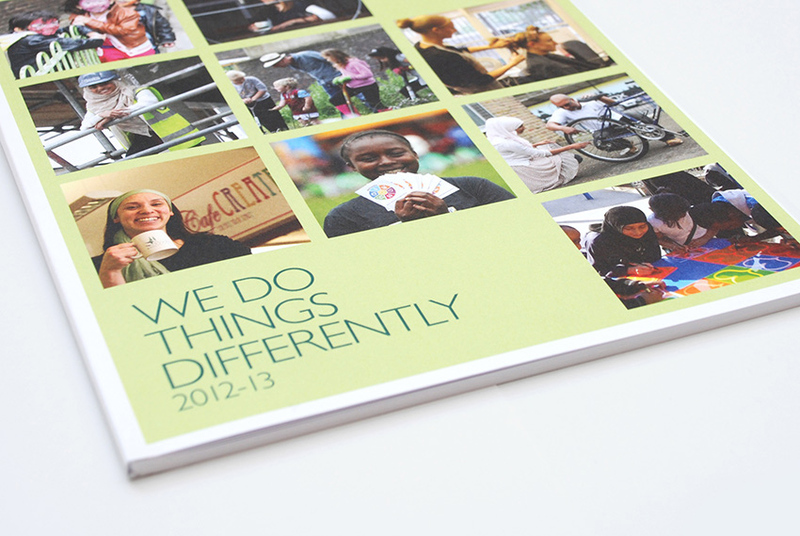 The annual report gives an overview of the achievements of the community and neighbourhoods team that operates in Poplar, London. 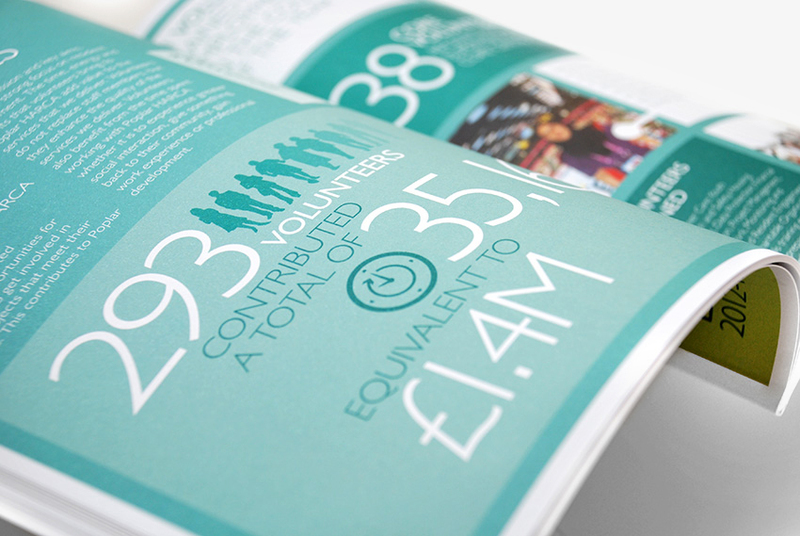 The organisation works in a variety of areas, ranging from social enterprise to summer events; community cohesion to housing. 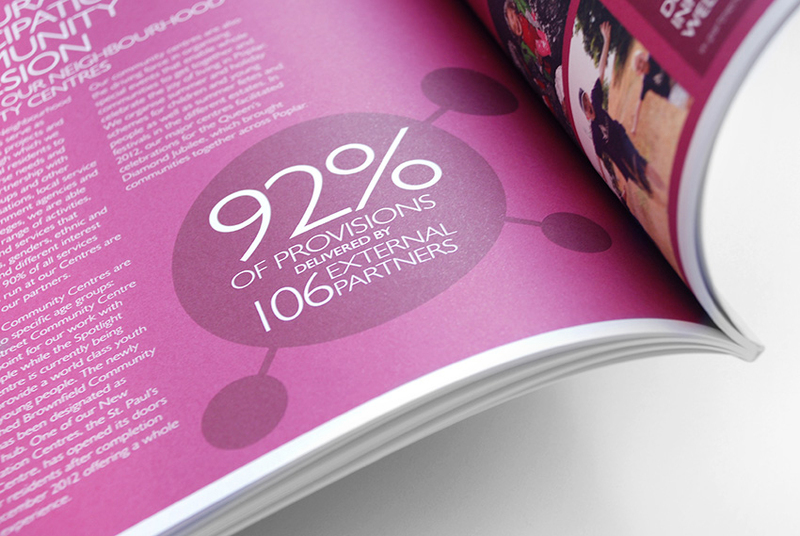 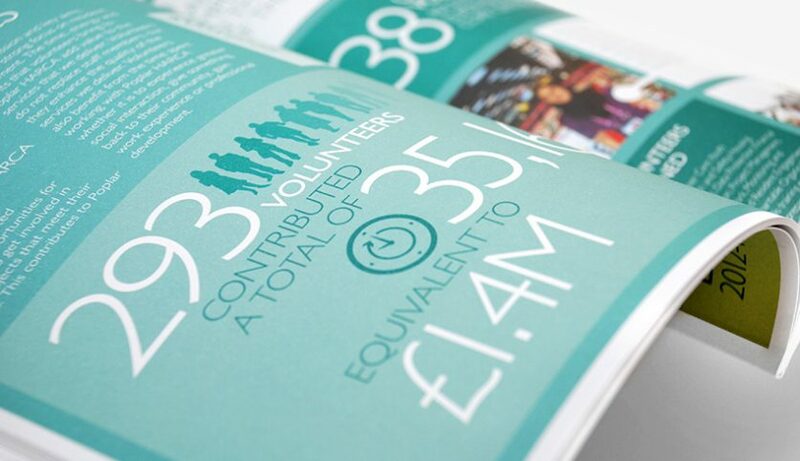 The annual report design combines infographics and statistics with a strong grid layout, categorised into different colour sections. 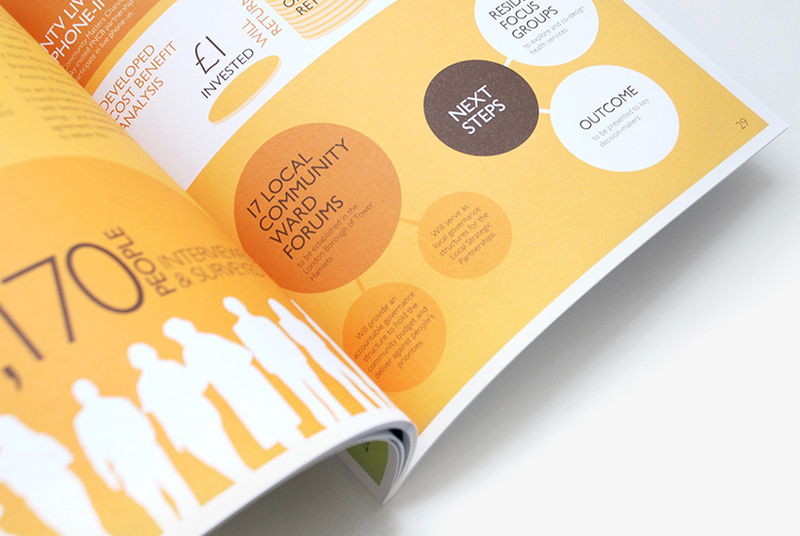 The report is perfect bound on an uncoated paper stock to give it a natural finish.